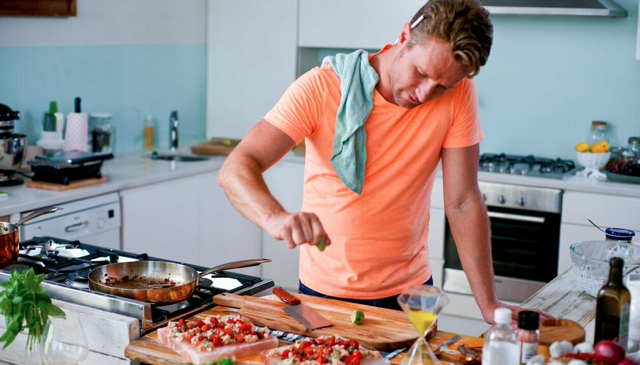 Neill Anthony was trained by chefs Gordon Ramsay and Marcus Waering, and has cooked for some of the biggest celebrities in the South Africa, and the world. He spends about 4 months of every year in the UK cooking for IT Billionaires and under-the-radar film stars at secret locations. When he’s back in Cape Town, he hangs out in his bachelor pad in Observatory and cooks for his beautiful yoga-guru girlfriend and her very small dog. My family is my biggest career inspiration and influence, as cliché as it sounds. My mother taught me the basics of food, cooking and baking, she is completely responsible for sparking my interests, in what has now become my life. My brothers and I spend hours together making, creating and enjoying food and my sister, like me, created a career around cooking. When we get together as a family, it’s a food festival, which continues to inspire and influence my career and my life. I think I realised that cooking was something I really wanted to do professionally, when I visited Cape Town during my school holidays. I spent most of my holiday in the kitchen where my sister was working, just watching… completely inspired and influenced by what she was doing, I realised then, this was what I wanted to do with my life. A life around food. My knives, nothing beats a really good, sharp knife. Dirty Hands, dirty and messy kitchen are a no. Things need to be organised, clean and controlled. My most memorable and favourite meal of all time would be about 6 years ago at Corrigans of Mayfair. My friend and I Dave Underwood (we used to work together at the Groucho Club) visited for dinner and had a truly incredible meal. Simple, yet amazing flavours and food, starter of Oysters with ducks tongue, mains- stuffed pigs trotters, dessert- plum soufflés. Perfection in every bite. White Heat by Marco Pierre White, its more than just a recipe book, it’s a story book, cook book, recipe book and a book that still continues to inspire me in my cooking career. They have just bought out the 20th Anniversary edition, which will soon form part of my collection. It would be a dream to work alongside Anthony Demetre for a day. Owner of Arbutus and other top eateries, Demetre is someone I look up to and would love to reach his level of cooking and innovation. He has an amazing ability to keep on trend, keep food real and maintain an outstanding level of flavour throughout every single dish. I am not the biggest fan of Ocra, I feel it has no versatility and it slimy in texture (in a really bad way). Cook from the heart, cook with love and enjoy every part of your food journey. Disclosure: this interview was facilitated by Liané from Soapbox Communications & Events. The blurb at the beginning and the photograph were provided to me. Wow, I loved learning about this cook. I’ve never heard of him but I would certainly love to try some of his food. Amazing post Tandy. What an interesting interview Tandy. I like the guy if he can’t live without Butter, Lemon and Olive Oil, these 3 make everything better! Great interview. I’ll have to look for White Heat by Marco Pierre White.